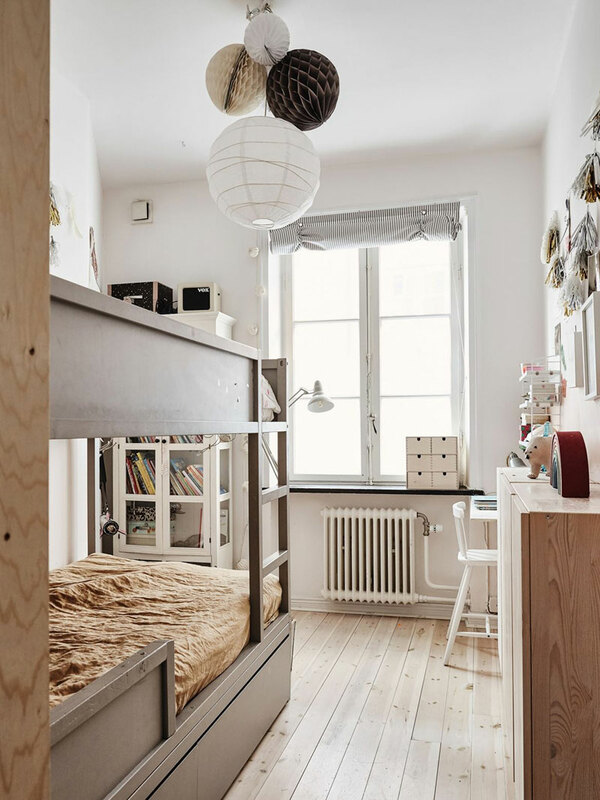 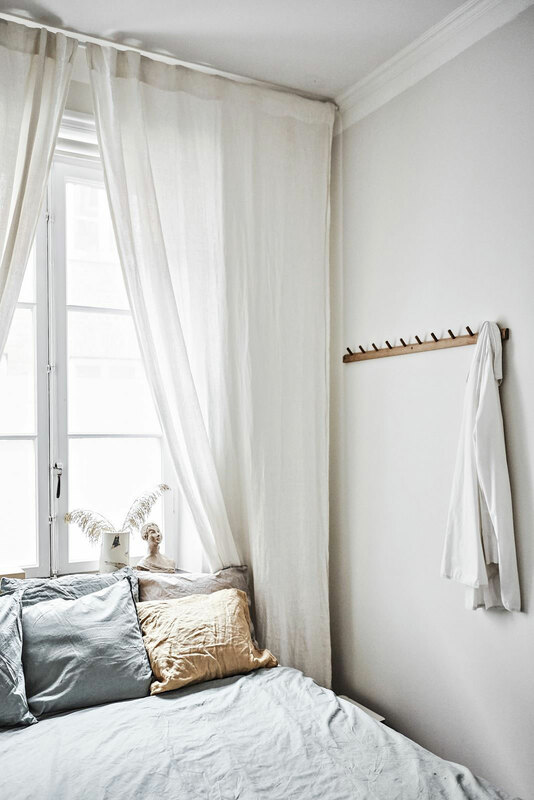 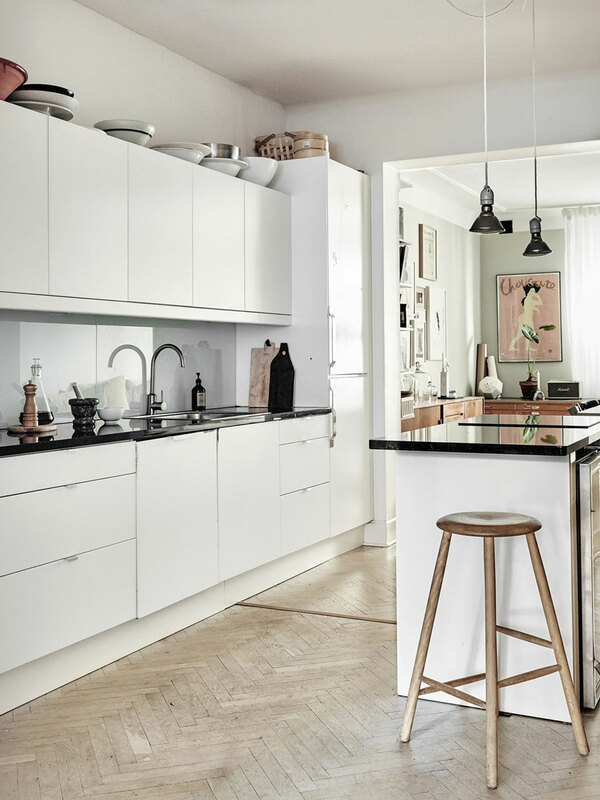 Today I’m taking you on a tour of a Swedish interior created with a scaled-back, boho-chic formula. 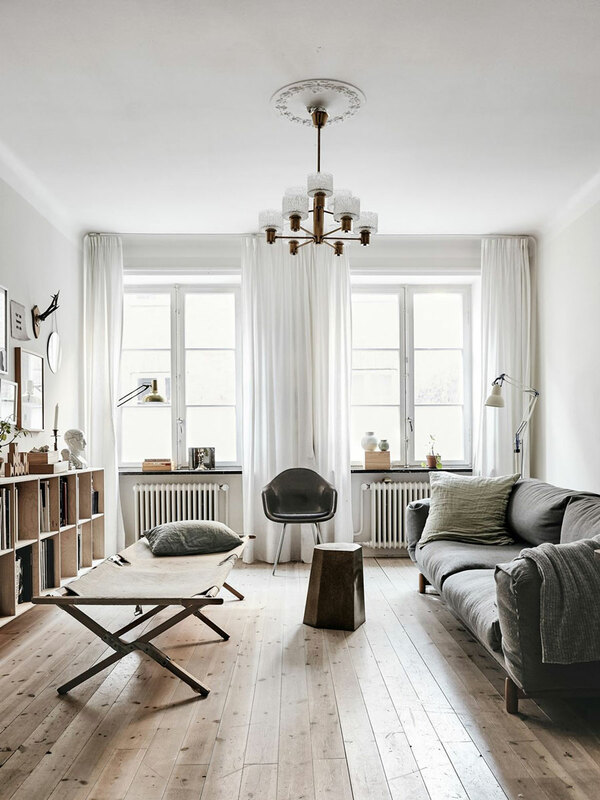 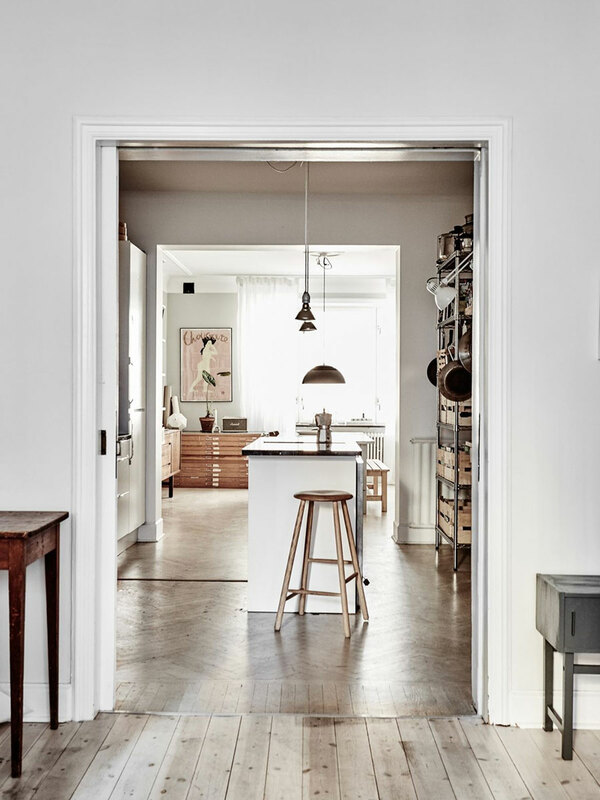 The place has a lot of character, with an eclectic but with a minimal feel, thanks to an uncluttered look and a pared-down palette of neutral tones. 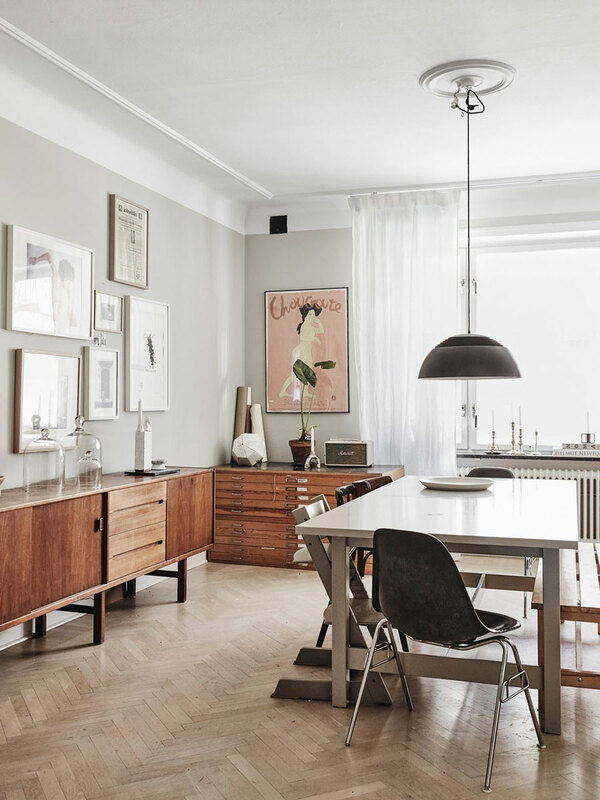 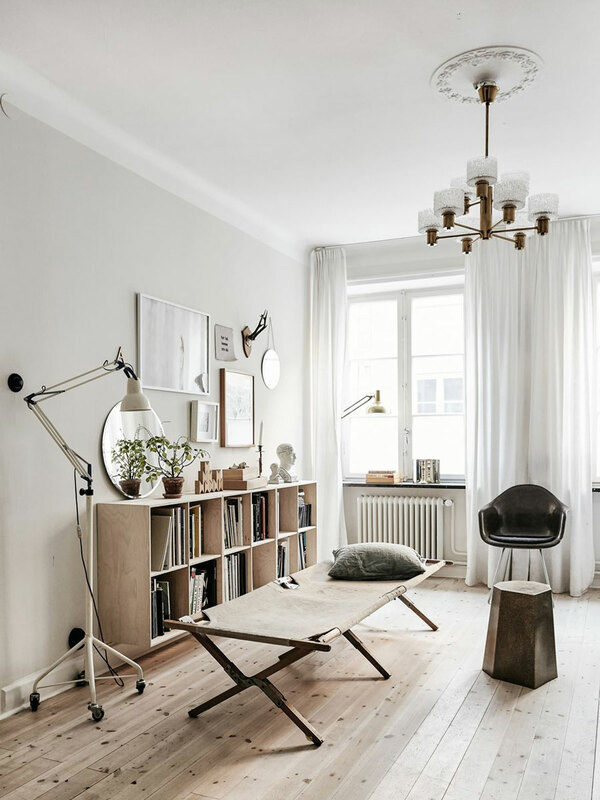 The style is an artful mix of flea market finds, family heirlooms, sentimental objects, and other trinkets, harmoniously layered within a white room with a curated vibe. 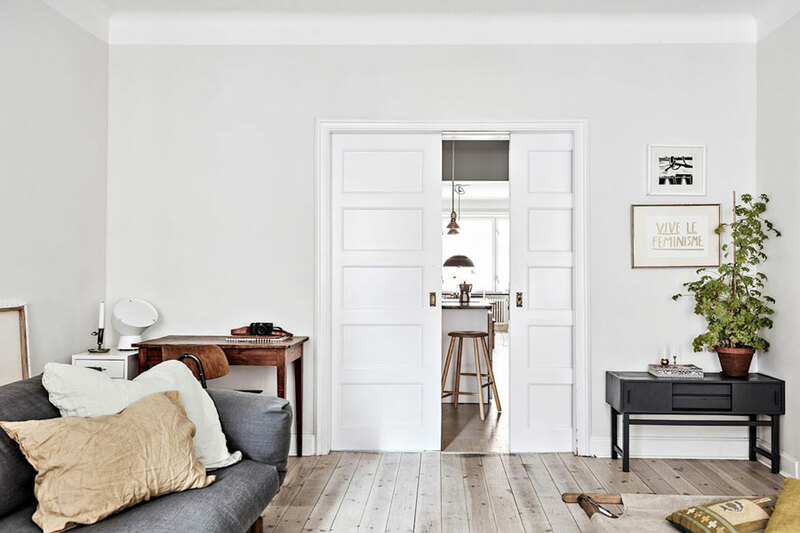 Vintage, slightly rustic, personal and inviting – An authentic home! 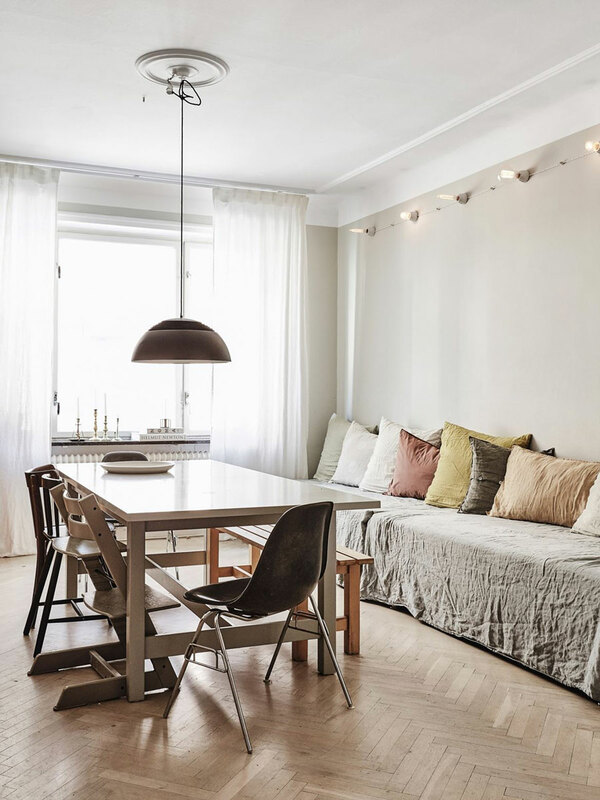 For more inspiring homes, have a look at my image gallery.